How you can tell: Oxidized wines lose their brightness, both in color and in flavor. Bright reds turn to brick color or brownish, and fresh tastes develop drier, more bitter characteristics. White wines are much more susceptible to oxidization than reds, because reds’ higher tannin levels act as a buffer. If you really want to see what this looks like: open a new bottle, pour a glass and save that bottle for about a week. Congrats, your bottle is ruined. Drink some and compare it to that first glass you had. Can I fix it? No, but you can prolong the shelf life of opened wine by using a wine preserving tool. If your bottle is oxidized right off the shelf, it was either poorly sealed or mishandled. Take it back! How you can tell: Dank odor and taste like wet newspaper, moldy basement or smelly dog. 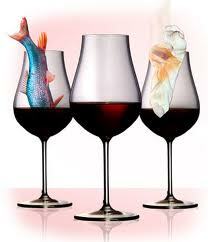 It’s estimated that over 2% of bottles are tainted with TCA to some degree, making it the second most common wine fault. Can I fix it? Andrew Waterhouse, professor of wine chemistry at the UC Davis, claims you can pour the wine into a bowl with a sheet of plastic wrap. The TCA will be attracted to the polyethylene and pulled from your wine. I say life is too short for fixing wine faults. Send that bottle back! How you can tell: There are 4 primary sulfur compounds that can give your wine some funk, but they all manifest themselves in terrible flavors and smells. 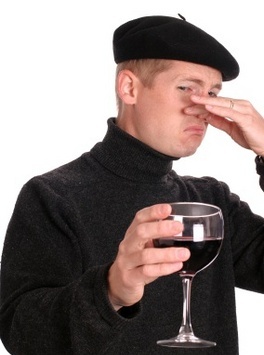 If you notice rotten egg, fart, burnt rubber, skunk, or asparagus pee in your wine, you probably have a sulfur problem. Can I fix it? The offending flavor can be weakened through decanting (watch this). If it is strong though, you should send it back from whence it came.